The first New York Times investigation into Weinstein reported that in 1997 McGowan, who was then 23, had reached a $100,000 settlement with the producer after “an episode in a hotel room.” According to a Daily Beast article, sources told the website that McGowan had told her story before NBC cameras in January of this year for Ronan Farrow’s investigation, which was later published in the New Yorker. But she had to later retract that interview, reportedly telling Farrow, “the legal angle is coming at me and I have no recourse” due to a non-disclosure agreement. 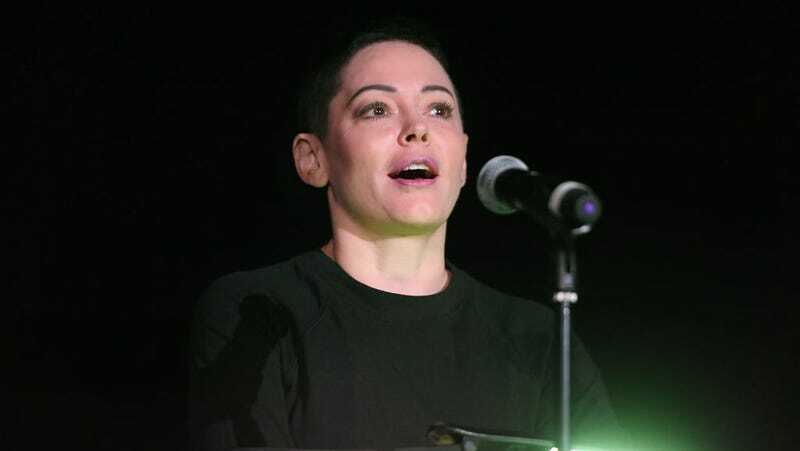 Over the past few weeks McGowan has been especially outspoken on Twitter about the Weinstein allegations and just yesterday her account was temporarily suspended by Twitter.